Maknae SeoHyun's unnies were out to show their love. 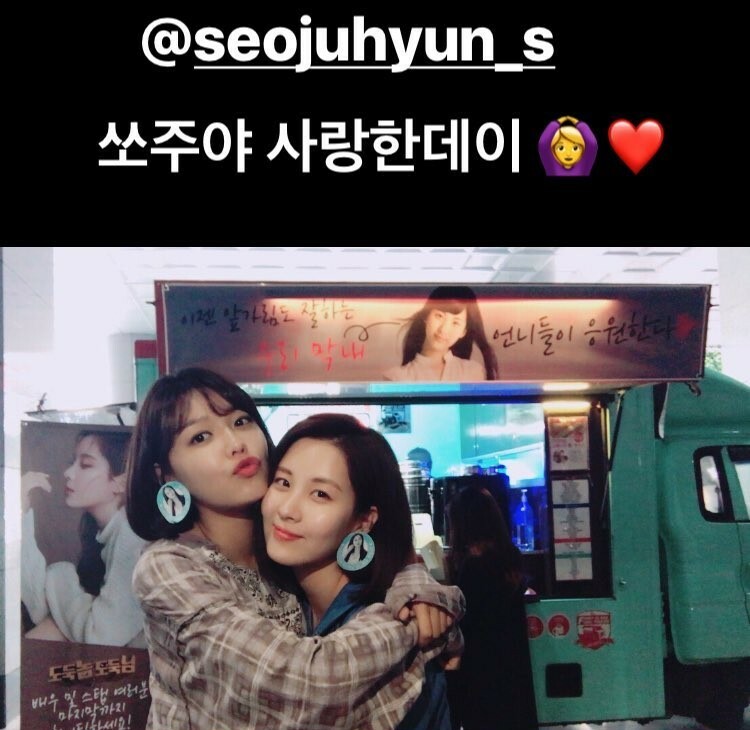 "Our loyal Soshi unnies who I love~~~💕 They sent coffee and churros to the drama shoot location today~~ I'm getting strength, I'm getting strengthhhhhhhh!!!!!! As expected.. 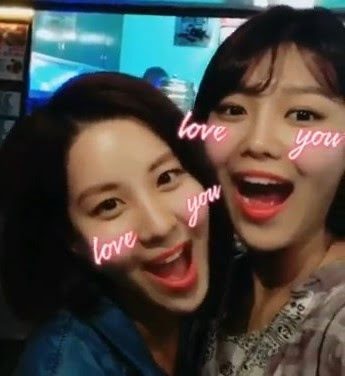 There are only unnies 😘 I love u❤️ With our Syoung unnie who came in person to cheer me on 👩‍❤️‍💋‍👩 #RightNowItsGirlsGeneration #ImOurMaknaeWhoTakesCareOfHerselfWell"